Here at Trillium Dental our philosophy is focused on providing premium dental health care to all of our patients. We strive to do this through a team effort while at the same time delivering individualized treatment designed around the needs of each patient we see. We also take pride in facilitating a professional and relaxed environment that we feel enhances a positive experience for our patients regardless of their age. Furthermore, as a result of our continuing education, we offer a wide range of services for all of our clients dental needs. This fits together with our belief in educating our patients, on proper methods of prevention. This is a key factor in having a successful oral hygiene regimen. This makes our focus on ensuring the health of a patients gums and teeth an important aspect of our practice. We want to see that each patient has the chance and ability to keep a healthy mouth by providing cleaning, fluoride treatments, flossing, and sealants, which help prevent tooth decay and gum disease. Additionally, we make it a point to review the medical history of our patients in order to stay current with the state of the health over all. As such, it helps our team to know and understand any and all medications a patient may be taking due to any form of health issue not directly related to their oral health. We are concerned, not only, about the condition of our patients’ teeth and gums, we additionally care about their complete health profile. Everyone should have a choice in getting premier dental care and at Trillium Dental our reputation stems from our ability to provide this level of care to our patients. We take pride in our ability to provide substantial results through having a staff focused on compassion and friendliness. Our goal with every patient we see is to ensure complete understanding of the procedures and services we offer, including handling insurance and being accessible for extended hours. We offer multi-lingual services at all of our convenient locations. We educate and help our patients manage their dental hygiene. We focus on building positive reinforcement with all dental experiences for young and old. 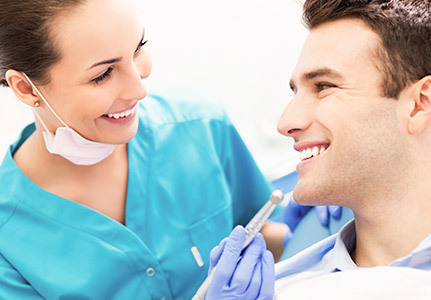 We perform top notch restorative and preventive care that extends the health of a patient’s teeth and gums. We offer premium cosmetic dentistry that fits a patient’s lifestyle, health and confidence. We use the latest methods and state of the art technology to provide the best results in all of our procedures. Our level of customer service is surpassed by none, which allows us to increase awareness about the importance of oral hygiene and how it is beneficial to persons complete health.